Armed with two sharp, black stainless steel blades, the 70 Gauge Cigar Cutter by Jetline provides a clean and easy chop for even your largest cigars. Made from durable plastic, this convenient guillotine-style cutter fits in your pocket and accommodates cigars up to a massive 70 ring gauge. Good value for a basic cuter. Seems sharper than no-name brands at smoke shops. 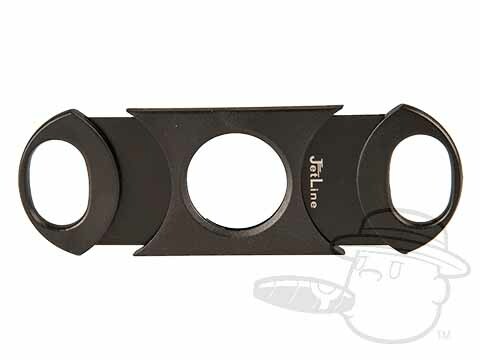 70 Gauge Cigar Cutter By Jetline Black is rated 3.8 out of 5 based on 2 customer ratings.